The design for that is interesting because it uses a colored glass frame and a crinkly paper mount under a stitched leather one. It may not be necessarily the best frame for the photograph but it is a good example of what’s possible with ImageFramer. One of the tricks of this design is the setting of 100% of frame over image for both the glass and the paper frames. The other is colorizing the glass frame in blue, which fit well with the photograph. You can download the template by clicking here. Make sure to unzip it, if your web browser doesn’t do so automatically. 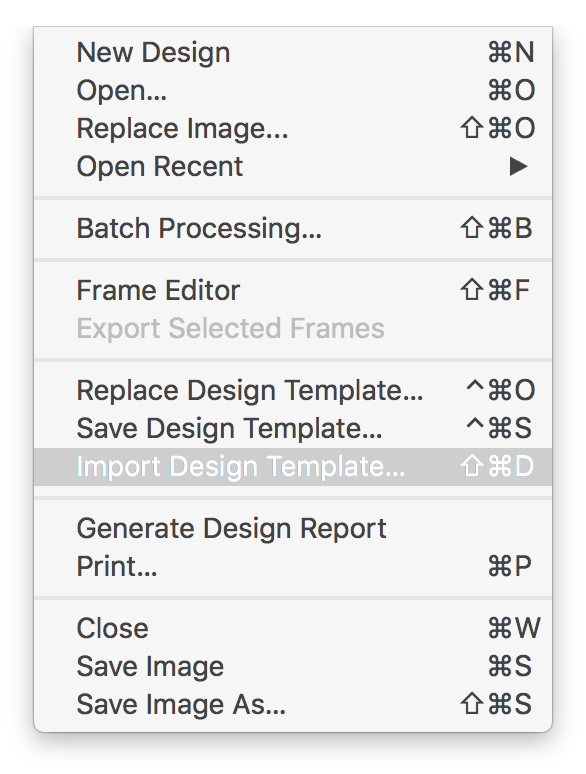 After that, use the “Import Design Template…” command in the menu (⇧⌘D) to import into your ImageFramer’s Templates tab, or double-click on it to apply the template to the current unedited photo in ImageFramer (or it’ll open as a new window). You can modify the template, if you wish and then press the + button below the Templates panel to add it to your templates. Loading Templates requires ImageFramer version 4.0 or later (if you use ImageFramer 3, it’s a free update). 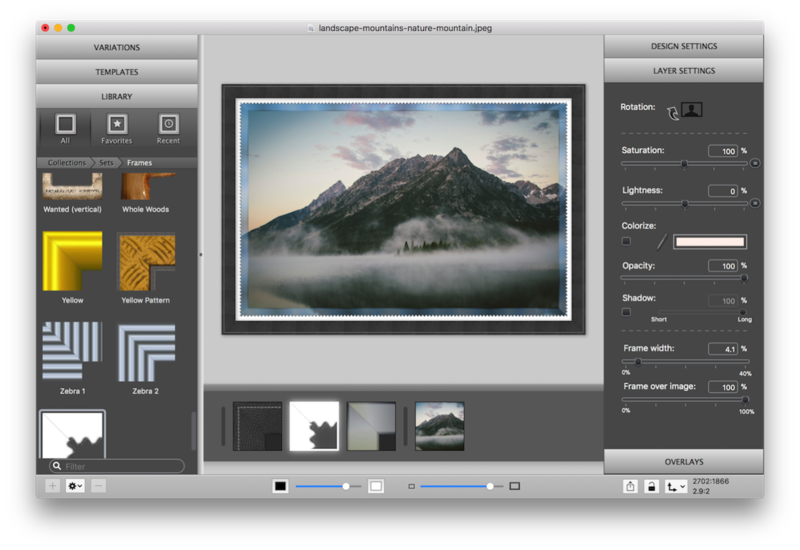 You can also try it out with the trial version by downloading ImageFramer from our site.